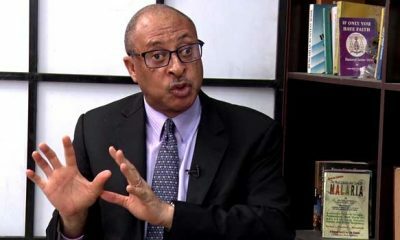 Former presidential candidate under the platform of the Social Democratic Mega Party in 2011, Professor Pat Utomi, has claimed Nigeria has been held captive by less than 60 power brokers since the country gained independence in 1960. The prominent political economist and management consultant, has stated that for the past 51 years, Nigeria’s political and resource control have been determined by less than 60 people only, Punch reports. Utomi made his comments while speaking at a public lecture organised by the Evangelical Christian Union Alumni Fellowship in Lagos, on Thursday, August 10. According to Utomi, elections in Nigeria are just for ceremonial purposes, as the country is actually controlled by a few power brokers whom he referred to as the “club of capture”. 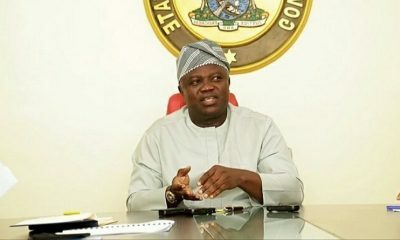 In his speech titled ‘Healing a bleeding nation,’ the economist attributed the nation’s problems to these individuals, lashing out at the ineptitude of the nation’s politicians. He stated: “Today’s politicians are mentally ill-equipped. The late Chief Obafemi Awolowo was surrounded by intellectuals and professors. These days, the opposite is the case. Pimps accompany our politicians. “This ‘class of capture’ has inflicted an anti-intellectual culture on the country.” Utomi warned the nation’s leaders that if they do not diversify, the country would soon run aground, as oil would soon become obsolete. He stated further: “The club of capture can be grouped into three categories. “The first is the moderniser wannabes. The value system of this category sabotaged their desire. “The second are the narcissistic influencers, who are so consumed by their self-love. These people are contented with whoever is in power so far they can appoint the oil minister and others. “The last are the entitlement-minded ones. Nigeria has become the entitlement of the last category. “When those in the club of capture lose legitimacy, they look for ways to circumnavigate. “They look for weak persons to push into positions of authorities so they don’t lose their grip on power. “Nigeria has suffered from power capture for 51 years. Less than 60 persons have been deciding our fortunes for the past 51 years. Utomi urged Nigeria to adopt what is obtainable in Singapore where only the brightest minds lead, and also stated that Nigeria’s National Assembly is one of the biggest problems for the nation’s democracy.